Messiaen's quartet is not specifically about his experience as a POW, but is written as a work inspired by the Book of Revelations in the Bible, rooted in his Roman Catholic faith. Of course, with the world at the time engulfed in war both in Europe and Asia, that a composer might think of the Apocalypse is not surprising. There are eight movements, some of them written for the quartet, some as solos, some as duets. The most poignant and passionate passages are written for the clarinet and for the violin. Messiaen was fascinated by birds, both as a young man and as he continued his work after the war (he died in 1992). Yoonah Kim was spellbinding during her long and challenging solo in Movement III, "The Abyss of Birds," the clarinet evoking joy. The other highlight was Movement VIII, "Praise to the Immortality of Jesus," where the piano and violin play off of each other. Jackiw's playing during this final section was marked by deep passion, eventually ending in a slow drawn-out note that was about as quiet as one could be and still be heard. Perhaps surprisingly since Messiaen was a pianist, the piano is almost a background instrument in this work, only rarely making itself known above the attention given to the other instruments. Likewise, the cello has some soulful solo parts (apart from the raucous part it plays in the entire quartet playing together), but they are not as showy as the parts for violin and clarinet. So Weiss and Campbell did not get the spotlight their fellow musicians received. It is impossible to think of the "Quartet for the End of Time" without also picturing the premiere of the piece in January 1941, outside in the prison-of-war camp yard in the cold winter rain, with several hundred prisoners and guards as the first audience. 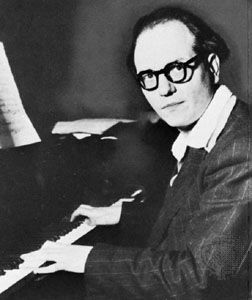 Messiaen played a dilapidated piano, accompanied by fellow prisoners Henri Akoka on clarinet, Jean le Boulaire on violin, and Etienne Pasquier on cello. Is there any more timeless and breathtaking picture than that? One can easily imagine it as the defining scene in a movie. The Crypt Sessions have become one of the hottest tickets to obtain in New York's classical music scene, along with its sister series Angel's Share held in the Catacombs of Green-Wood Cemetery in Brooklyn. Andrew Ousley has now united both ventures under one series called the Death of Classical. Next on the calendar uptown is a March 7 performance of "Kindertotenlieder," Gustav Mahler's meditation on the death of children by Grammy-award-winning baritone Lucas Meachem accompanied by his wife Irina, who is pregnant with their first child. Unfortunately, the concert is already sold out. But you can ask to be put on a wait list, and plan for future concerts by donating to Death of Classical in categories described in a macabre way as Pallbearers, Undertakers, Eulogizers, and Crypt Keepers.